OUR FAVORITES OF THE GRAND PRIX DU DESGN 2019! IT'S OUR TURN TO SHARE OUR FAVORITES OF THIS 12TH EDITIONS OF THE GREAT DESIGN AWARDS 2019. Winner of the Residential 1,600 to 3,200 sq.ft space Award. Raw and Nordic in its appeal, this space made wholly of pale wood is simply breathtaking. The harmony that exists between the interior and the external environment evokes a feeling of pure calm and beckons us to linger. A total immersion in nature and a truly successful use of wood! Design: Atelier Pierre Thibault / Winner of the Residential 1,600 to 3,200 sq.ft space Award. 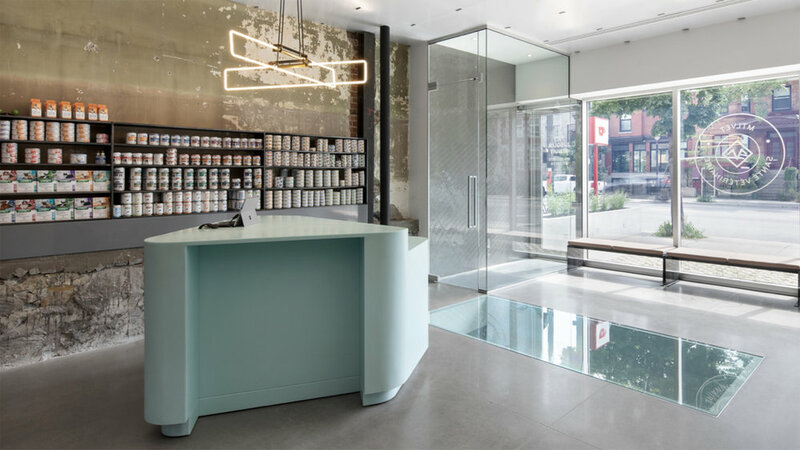 Awarded for its originality as well as for the mastery of lighting, this urban veterinary hospital is also a SPCA clinic. The clinic is part of a complete overhaul of the original building where the objective was to expand the existing two-story structure. The final result consists of four floors and the architectural firm's mission was to respect the economic and ecological realities of the project. Added bonus : There are three kitchens designed by Cuisines Steam in the residential apartments on the upper levels. Winner of the Kitchen Category Award. This house from the fifties has been completely renovated by the Dupont Blouin architectural firm in order to modernize the interior and highlight the integral beauty of the original architecture. The firm teamed up with Cuisines Steam to design the kitchen and the main objective was to fully integrate the kitchen in the space so that it completely blends in with the construction materials. The predominance of white oak punctuated by black stained beams and dark metal create a space that is truly harmonious and respectful of the architecture, all the while being bold and powerful. Dupont Blouin architectes / Kitchen Category Award. Design: ubudesign / Winner of the Valorization of wood Award in the industrial and product design category as well as the Object and accessories kitchen and bathroom product in product design in a small series award. Winner of the Valorization of wood Award in the industrial and product design category as well as the Object and accessories kitchen and bathroom product in product design in a small series award. Doubly awarded, the BU espresso cup has charmed us with its inventive use of wood. The sleeve is made from solid walnut and is detachable to facilitate the maintenance of the ceramic interior and acts as a natural insulator for optimal heat retention. The artisanal and small-scale production of the BU espresso cup means that each cup is unique and locally made, which makes us love it even more. 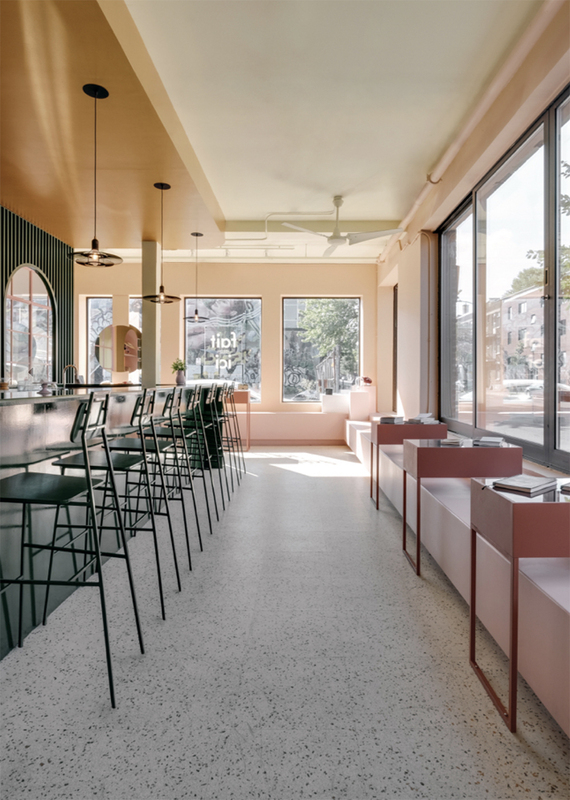 Always eager to blend into the neighborhood where it has decided to set up shop, AESOP has the noble intention of encouraging local architects to design its stores. The stores therefore have no unified concept and are rather influenced by their environment. The use of brass, woodwork, and velvet adds elegance to the Petite-Bourgogne locale and manages to win its patrons over instantly. Major heart eyes for this new café and creative shop in Mile-End: Pastel Rita! The firm APPAREIL Architecture has managed to create a unique and lively decor with a selection of bold colours while respecting a modest budget.